Today I have the privilege of doing a book review for one of my best friends, Christine Trevino. Christine’s new book, Experience Christmas, preparing your heart for the manger through the stories and songs of the season, is a daily devotional designed to prepare your heart for Christmas. Christine uses Scripture, songs, reflection, prayer and fictionalized vignettes to engage the reader and prepare your heart for the manger and all Christmas has to offer. Not only that, it allows you to put aside the hustle and bustle and distractions of the holiday season and lets you really focus on celebrating the birth of Jesus, the real meaning of Christmas. Experience Christmas begins by introducing the reader to the idea of thin places; “spaces where heaven and earth are nearer; places where I think it becomes possible for both worlds to intersect.” Christine talks about how God is available to us and wants to make himself known to us. We just have to open our hearts to Him and actively seek Him. It just seems natural that Christmas be a time to draw closer to God; a time when we can open our hearts to Him and let Him work in us and change us. Throughout the book, Christine uses the stories of Elizabeth and Zechariah, Mary and Joseph, the shepherds, and the wise men to show us how God works in our lives. The devotionals touch on God’s promises to us, how God is always with us and for us even when it feels like we are alone, and that God helps us through difficult times and guides us through the rough waters of life. One thing I enjoyed most about this devotional were the fictionalized vignettes sprinkled throughout the book. The vignettes bring Elizabeth, Mary, Joseph, the shepherds, the angel Gabriel, and the wise men to life. They give you a chance to step back and put yourself in the shoes of those who experienced the miracle of Jesus’ birth first hand. The vignettes enrich the devotional and tie it all together. They allow you to see the story from a different perspective and see how God works in our lives today just as He did in the lives of those in Biblical times. Throughout Experience Christmas floats a theme of how God asks us to do difficult things. He puts us in hard situations sometimes. The question is, how will we handle it. Christine also touches on how God used ordinary people, like you and me, to bring about this most wondrous event of Christ’s birth. It helps us realize that we don’t have to be a millionaire or a genius or a Nobel Prize winner to accomplish things for God. He uses us no matter what our station in life. At the end of each devotional are thought-provoking questions that allow us to explore the thoughts presented in each devotional. There is also a prayer to help us speak with God and ask Him to work in our hearts. Another of my favorite aspects about this devotional are the songs Christine includes. In each devotional is a song that fits with it. The songs are another way for more personal reflection time. I absolutely love Experience Christmas and really felt I got a lot out of it. This book enabled me to think about the manger and the Christmas story in a way I hadn’t before. It caused me to stop and focus on my relationship with God and really ask myself where it’s at and how I can draw closer to Him. If you are looking for a new way to experience the holiday season this year, this is the book for you. Experience Christmas will bring joy and more meaning to your Christmas this year. 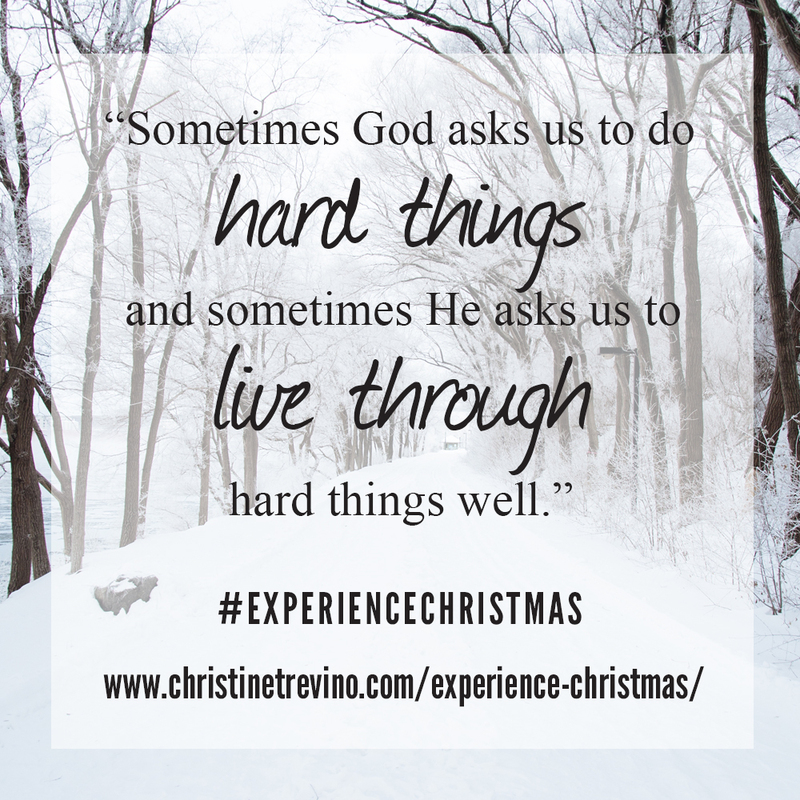 Experience Christmas is available for purchase on Amazon beginning October 5, 2015. 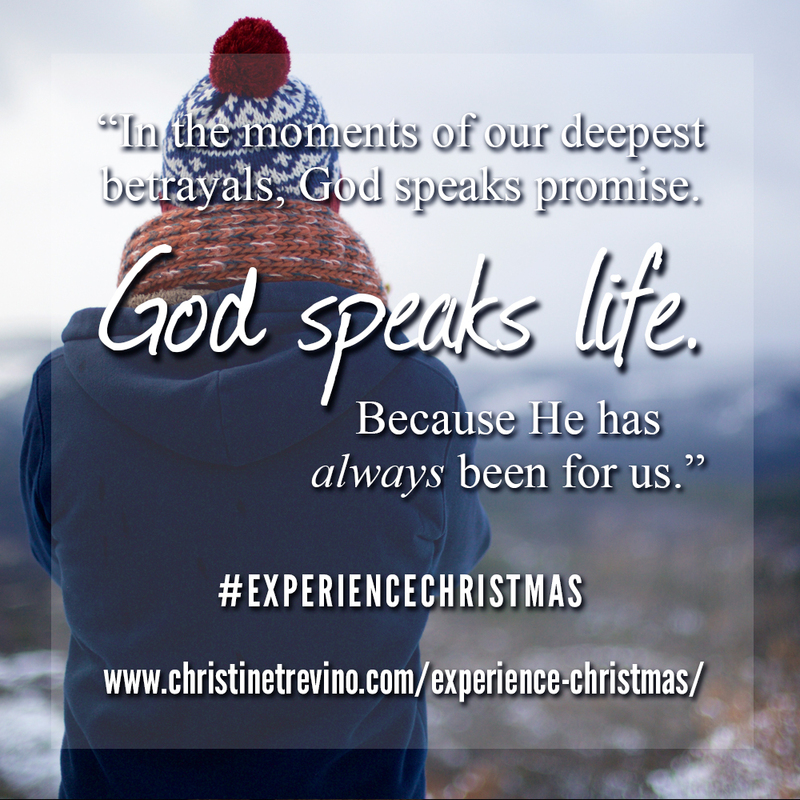 You can click HERE to learn more about Christine and Experience Christmas. And HERE is all the information you need on the release of this exciting new book.